Add all the ingredients to the blender and blend at medium speed until all the ingredients have combined and the mixture has a creamy consistency. You can use frozen fruit and the yogurt flavor you prefer. Smoothies are a fabulous way to start your morning. You can consume the vitamins offered to us in fruits in a different and much more tasty way. Besides, when made at home they have less calories and fat than the store-bought kind. 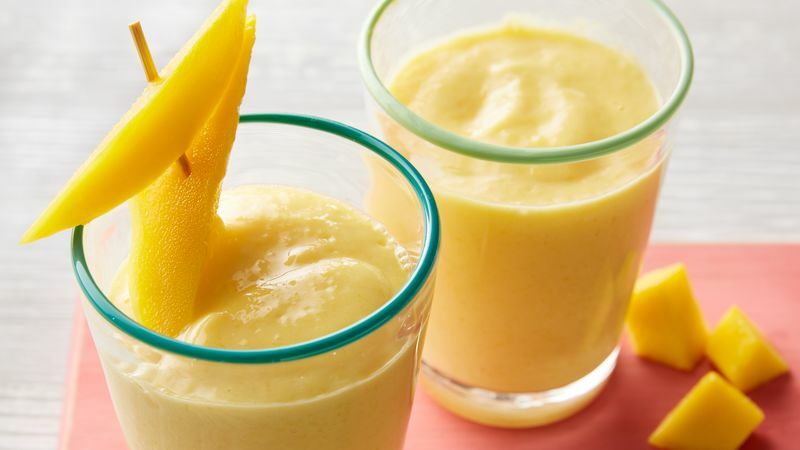 Enjoy this delicious combination of mango, banana, pineapple, and honey that, thanks to Greek yogurt, has a creamy consistency that's perfect for any dessert.